Technocracy Rising: Ready to live in a "Smart City?" Are you familiar with the concept of a “smart city?” MasterCard, Big Data, and corporations alike are striving towards smart cities because when the governments meet their end, smart cities will be the hubs of the New World Order. Or at least, that’s according to Parag Khanna who has previously purposed that FEMA regions govern the US, and who actively supports technocracy. Each time we do something, it can be considered by technology companies as data; and they want it, all of it. Why, because they can sell it to the highest bidder. Tech Giants sell the intellectual version of you, your child, your family, and anyone who has used a computer as slaves for profit, and chances are you didn’t even know. Now, currently our phones do a lot of this tracking, but what if the “city” could do it? Enter the Smart City. 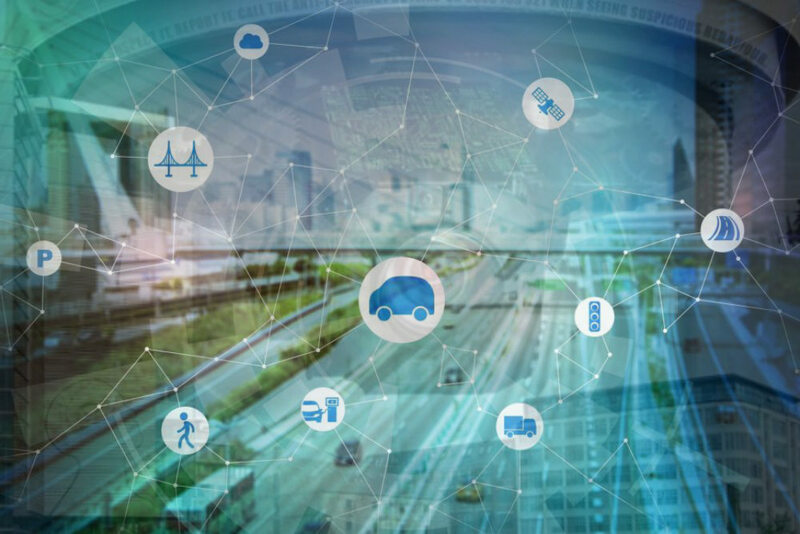 Smart Cities are governed by artificial intelligence and algorithms that interpret and decipher all of that data collected, and thus the governance makes its decisions based on what was collected. To the goon of the New World Order or the brainwashed millennial that may sound like a good idea, but in reality, governance encompasses a whole host of aspects such as policing, policy, foreign affairs, trade, economy, and much more. Giving the government power over every aspect of yourself is never a good idea, with history as a reference. Far enough down the line within a smart city and the Big Data, or government, can track your thoughts – think wrong, and you could end up in jail. While some would like to claim that this is a Science Fiction future, I would like to point you to the proof that it’s not science fiction at all. If we don’t do the best we can to wake others up, the “Smart City” ideology will take over, and it is already beginning today. -Imagine on your next trip to the grocery store, that there were no checkouts, no cashiers, and no lines. You could simply walk in, grab what you need and go. Sounds great right? Amazon has created a ‘next-level’ grocery store in Seattle that does just that by utilizing machine intelligence and facial recognition software. New technology like this is paving the way towards microchip implants, and the mark of the beast. …The artificial intelligence that is monitoring every breath, facial expression and every step taken within the go store is saving all of that information into a single database. The Amazon store showcases that sooner rather than later – a vast database with every facial expression and feature of every person who walks into an Amazon go store will be saved and stored. The 1984 Orwellian nightmare of a totalitarian police state has gotten one step closer. That one store can be understood as the basis for a totalitarian smart city. Billions of sensors placed all over the city, which transmit data back to servers, and is interpreted by Artificial Intelligence, and then is processed for both analytics and action. The enormous amount of profit that data companies can generate from the smallest amounts of our data alone should spark outrage because it wholeheartedly breaches our privacy, but even worse is the action governments and conglomerate companies can take against the whispers of the citizens. Google currently holds an enormous amount of data on billions of people worldwide, online Google can censor individuals it doesn’t like, or it can censor people who don’t share the same political ideology. The most recent attack by Google against people is already underway, see here for more. Google’s constant censorship of individuals foretells of what smart cities can and will do, censor and or eliminate the “opposition” using collected data. Take YouTube for example; recently Youtube announced that they are going to implement artificial intelligence to scan every video uploaded to the platform. Well at a billion hours of video uploaded per day, that’s quite a task. But what Google can then do with the output of the AI’s algorithm, is what makes it the most nefarious agenda ever, if a video uploaded to the platform doesn’t align with their ideology or their agenda consider that video censored, or discouraged from search results. Taking the example from Google, Facebook is also implementing something similar and again consider that post censored. On a vast scale, smart cities are in part the agenda to bring about Mega Cities, Mega cities are just further down the road because the infrastructure has to be rebuilt, but smart cities can be implemented as the technology becomes available and it is available today. As cities around the world are confronted with population growth and increasing demand for their legacy systems bold ideas are needed to propel the dialogue between governments, civil society and the private sector. Urban leaders in every corner of the globe are demonstrating how digital technologies and data analytics can help drive efficiencies and more seamless experiences. However, creating “smart” cities should not be viewed as an end in itself, rather it’s a means toward unlocking economic growth opportunities for cities, creating a better quality of life for citizens, and building more sustainable and resilient communities. Meanwhile, cities have started to organize themselves in global networks where they exchange learnings and best practices with each other. While resources may differ in different parts of the world, challenges are often very similar, nurturing a global civic spirit that connects Chicago with Sydney, Mexico City with Johannesburg, and Paris with Shanghai. Who is Parag Khanna and why is he influential? Parag Khanna was in the Obama administration, and he has been featured by many think tanks, as well as now MasterCard has enlisted him as an influencer for the coming connected cities. Below is the paper from MasterCard, written by Parag Khanna on how this can and will come about. Megacities, regions, digital governments, and so on the New World Order is not slowing down the implementation of their agenda under Trump, rather they are speeding it up and will potentially scapegoat the conservative Christian label as a reason for the demise of the current world order. Parag Khanna. “Parag Khanna: Data-Cities Lead Economic Progress.” Governing. . (2017): . .
Mastercard. “U.S. Cities: By the People and By the Numbers.” MasterCard. . (2017): . .
Next articleNorth Korean Crisis; Will ‘Lazarus’ Bring Down Banks? Or Will China and Kim Jung Un Spark World War Three?